Time: Day 1 - 9:30 a.m. - 5:40 p.m. ; Day 2 - 9:10 a.m. - 1:10 p.m.
(Take school shuttle No. 1A/ 1B/ 2 at the University Bus Station near the University MTR Station. 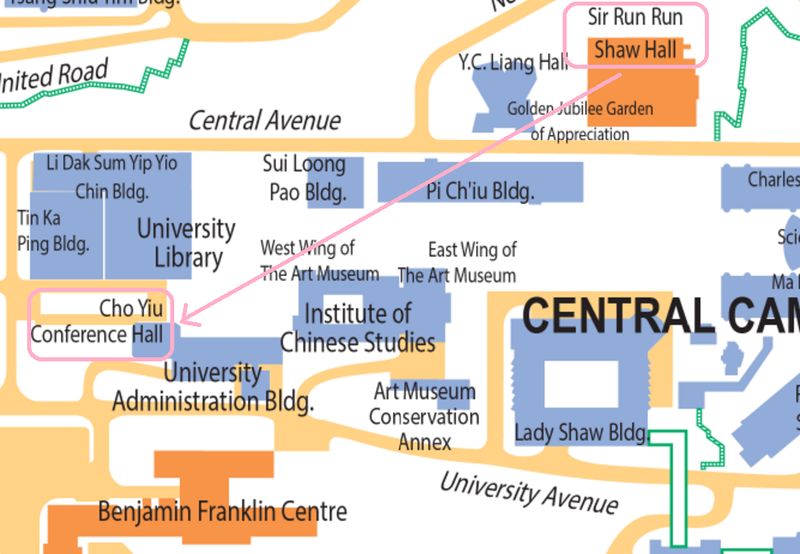 Alight at "Sir Run Run Shaw Hall" and proceed to the University Mall. Cho Yiu Hall is in the University Adminstration Building). 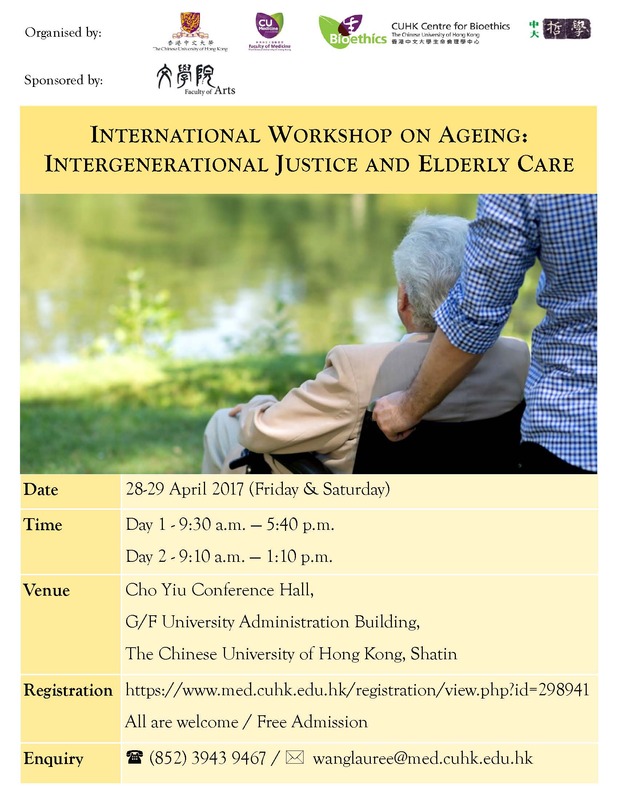 Presentation slide by Dr. Tom Walker - "Justice and the Fair Innings Argument"
Presentation slide by Prof. Jue Wang - "Family Matters: Ageing China and the Issue of Generational Equity"
Presentation slide by Dr. Alexandre Erler - "How Should We Allocate Scarce Life-saving Interventions? Prioritarianism vs. 'Fair Innings' "
Presentation slide by Prof. Roger Chung - "Ethical Issues of End-Of-Life Care in Hong Kong"
Presentation slide by Prof. Jean Woo - "Addressing the Chasm between the Philosophical and Real Life Perspectives to Ageing: Making Bioethics Relevant to Society"
Presentation slide by Dr. Derrick Au - "Care of Hong Kong Elders Near End of Life - Why Paradigm Won't Shift"
Presentation slide by Prof. Nancy Jecker - "Preserving Dignity for Older Adults: Futile Treatment and End of Life Care"
Presentation slide by Prof. Hon-Lam Li - "Dying Young as Tragedy: An Ally of, or an Alternative to, “Fair Innings"?" Presentation slide by Dr. Michael Campbell - "Health in Old Age: its Nature and Significance"